Imitation grass can be used for all types of landscaping. A fake grass lawn is a good choice for a front yard or back yard. Residential artificial turf provides an economical solution for homeowners. Synthetic grass installation is also a good choice for businesses that want the look of a well maintained landscape without the cost of maintenance. Field turf is commonly used for all different types of sports. Sports turf is a good choice for football fields, soccer fields, and baseball fields. 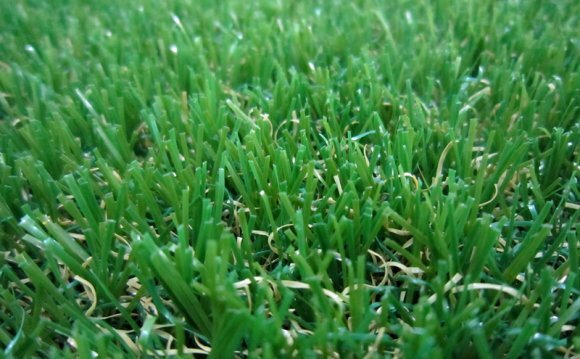 The reason for this is that synthetic grass fields can withstand all the wear and tear of being used all the time. Grass fields often get worn out particularly where most of the playing takes place. This becomes a problem when the grass is worn away and the dirt is exposed. When the dirt get wet it turns to mud and the quality of the playing field is compromised. Artificial grass is also used for batting cages, indoor baseball facilities, cross fit gyms, paintball, indoor soccer, and golf. Artificial putting green turf is used to build low maintenance synthetic putting greens. Artificial golf greens are much easier to maintain and provide a solution for a well maintained synthetic putting green that golfers love. Synthetic field turf is a good choice when installing a backyard putting green. It will ensure that the home putting green will always look good and there is no need to worry about maintenance. Maintaining a green real lawn is almost impossible if you have dogs. All kinds of problems arise when trying to keep the lawn looking stellar. One problem is that some dogs like to dig. They like the feel of the cool dirt and often dig when the weather is warmer. Another problem is that some dogs like water and they mess with the sprinklers and often damage them. A third problem is that dog urine burns the grass and leaves yellow or brown spots on the grass. Fake grass for dogs can alleviate these problems. Dog grass is designed to be safe for dogs. This pet friendly K9 grass helps pet owners have the best of both worlds; a dog and a great looking lawn. Artificial turf is the only way to go if you want to have a great looking yard all the time.